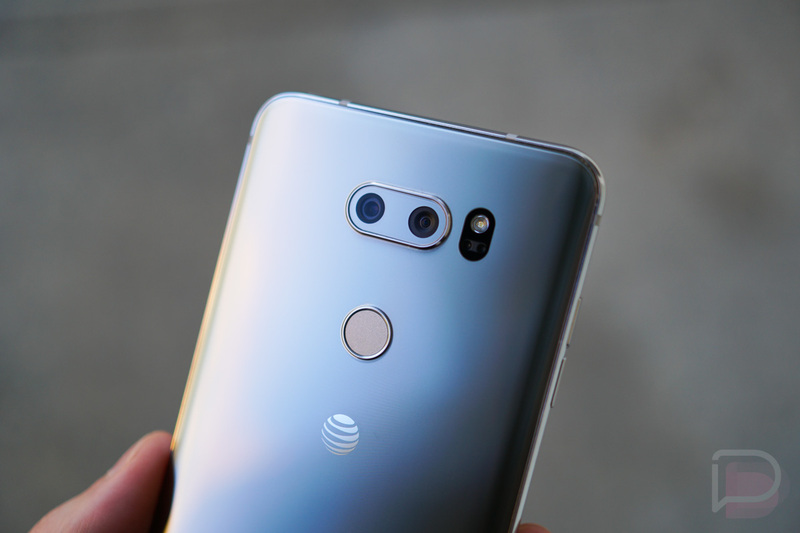 GIVEAWAY: Win 1 of 2 LG V30s From Droid Life and AT&T! AT&T asked if we’d be interested in giving away a couple of LG V30 phones to you, the DL reader, and I’m happy to report that we accepted their offer. So yeah, for the next week, you can enter to win an LG V30 (our review). Since we have two to give away, your chances are pretty solid, I’d say. Before we get to the details, just know that AT&T is currently running a BOGO deal on the V30 that’ll get you two phones, as long as you buy both on AT&T Next. Should you take that offer, you’ll get 30 months worth of credits to cover the cost of the second phone, making it free. In addition to the V30 BOGO, AT&T will also give you $200 in credits if you trade in an eligible smartphone. More details on all of that here. How can you win one of the two LG V30 phones that we have to give away? The entry form is below and it’s pretty simple. We need name and email (since we have to contact you should you win), followed by however many ways you’d like to enter. Things like subscribing to us on YouTube or visiting the AT&T deals page are just a couple of examples. You have until February 26th at 9AM Pacific to enter. And yep, we’ll email the winners that day. Good luck! This is a US only giveaway.